The expenses associated with a DUI in Los Angeles are high and can include everything from fines and vehicle impoundment to the cost of getting an ignition lock system installed. Putting out that money is bad enough when the cops have some basis for charging a person with a DUI, but it’s even worse when an officer has lied about the evidence for the arrest. Gavin Gabor of Salt Lake is fighting to get his money back after prosecutors dismissed the DUI case against him because of questions about the cop’s truthfulness. According to the website Good4Utah.com, Utah Highway Patrol Trooper Neil Green pulled Gabor over for failing to signal a turn. Green discovered there was an outstanding arrest warrant for Gabor for another traffic violation. He questioned Gabor and then arrested him for driving under the influence of drugs. 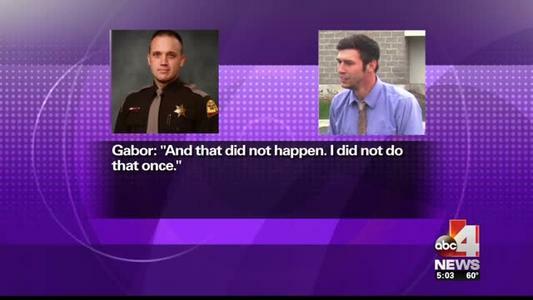 When Gabor appeared before a hearing officer, he heard Trooper Green testify that Gabor had failed a field sobriety test. But Gabor claimed that he couldn’t have failed the test, because Green never administered it. Gabor even bought a copy of the trooper’s dash cam video, which appeared to support his claim. But the administrator didn’t believe the driver’s story, and Green lost his license for six months. He had to pay $300 to get his license back, $400 to get his vehicle out of impound and another $300 for a release title. But Gabor wasn’t willing to let the case rest. He got a public defender, who succeeded in getting his case dismissed (although not before Gabor had paid all the money and done without his license). Meanwhile, the UHP began investigating the veracity of all of Green’s DUI arrests; the trooper later resigned. Green has gotten some of his money back from the DMV, but he’s still fighting with the state Tax Commission, the agency that collected the impound and release fees, to return the money he paid to them.